The Food Bank Farm in Sault Ste. Marie, Ont., donates all of its produce to a local food bank. Colin Templeton grows vegetables on his Sault Ste. Marie, Ont., property and then gives everything away. The harvest amounts to 100 bushels, or hampers, a week. Templeton said a hamper would likely fetch about $375 if you bought it from a grocery store. Each Food Bank Farm hamper can provide enough produce for about a week, farm operator Colin Templeton said. 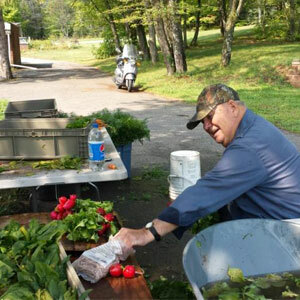 An MNRF employee by day, Templeton used to farm for market, donating a portion of the harvest to the food bank. But he changed his mind when he saw how quickly the produce donations were snapped up by food bank clients. He said that farmers in the Sault are no stranger to generous ways. Farmers in the community give a bit of food all the time to the food bank system, he said. “I think we’re unique from the perspective that 100 per cent of what we grow is dedicated for that purpose,” he said. The farm relies on donations to cover operating costs, supplies and materials, which Templeton said run about $7,000 a year. The farm site is located within the city limits, and use of the land, buildings and equipment have been donated by Templeton family. 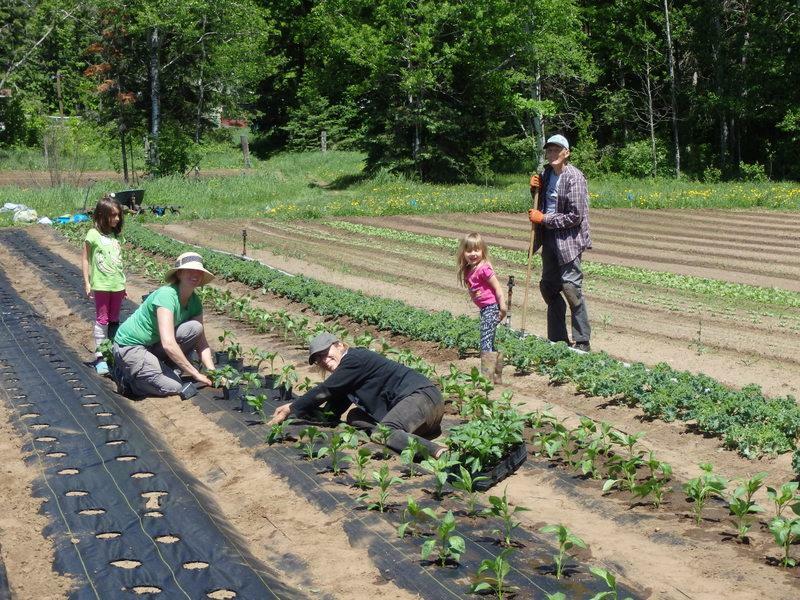 Operation of the farm is led Templeton and an operations manager, Isabelle Trottier-Saucier, with assistance of volunteers from the community.